Home/No Fault or Negligence, No Significant Fault or Negligence, Proportionality/The Johaug CAS award: Too harsh? CAS 2017/A/5110, International Ski Federation (FIS) v. Therese Johaug & The Norwegian Olympic and Paralympic Committee and Confederation of Sports, August 21, 2017; CAS 2017/A/5110, Therese Johaug v. The Norwegian Olympic and Paralympic Committee and Confederation of Sports (NIF). This case involves a highly successful Norwegian skier, the multiple-time World Champion and Olympic medallist Ms. Therese Johaug (the “Athlete”), who inadvertently used a lip balm containing a Prohibited Substance on the advice of her experienced team doctor, Dr Fredrik Bendiksen, resulting in a sanction of an 18-month period of Ineligibility that will cause her to miss the next edition of the Olympic games. The case has attracted a lot of attention – and criticism – in particular with respect to the Sharapova matter. For this contribution, we have chosen to focus on the aspects related to the Athlete’s Fault and proportionality of the sanction. The case also involved some interesting discussion surrounding the admissibility of a cross-appeal by the Athlete, and the scope of such cross-appeal. This aspect of the award deserves a separate analysis and is not addressed in this contribution, which focuses on the merits of the case. 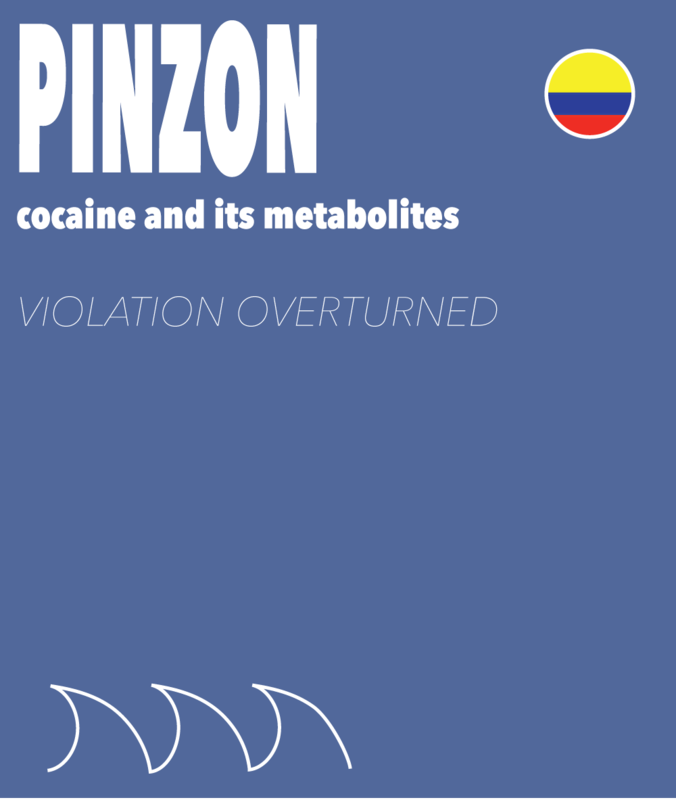 On 16 September 2016, the Athlete underwent an Out-of-Competition Doping Control test, which revealed the presence of “Clostebol” a non-Specified Substance that is prohibited at all times and appears in category S1 of the Prohibited List. The source of the Prohibited Substance in the Athlete’s Sample was not in dispute. The Athlete had been training in Italy, during which time she suffered from sunstroke, and developed a severe sunburn on her lips. The sunburn blistered and turned painful, following which the Athlete consulted her team doctor for treatment. The doctor did not have the treatment he wished to use in his possession, so he purchased two non-prescription products from a local pharmacy: Keratoplastica and Trofodermin. The Athlete began treatment with the Keratoplastica, but since it was not working after a day, the doctor brought her the other treatment. At this time, the Athlete checked with the doctor to ensure that the product was “clean”; he assured her that it was. The Athlete took the product to her room, removed the insert from the packaging, and noticing it was in Italian (a language she did not understand), she threw it away. She did not examine the box, which displayed a “red ‘doping warning’”: a red circle containing the word “doping” inside, crossed over with a red line. She used the ointment for approximately eleven days, from 4 to 15 September 2016. One of the product’s two active ingredients, which was “clearly” displayed on the product packaging, was “Clostebol”. The Athlete’s case was originally heard by the Adjudication Committee of Anti-Doping Norway, which ultimately imposed upon the Athlete a period of Ineligibility of 13 months. Key to the Adjudication Committee’s reasoning was the fact that the Athlete asked her doctor whether the ointment contained Prohibited Substances, and that it was “hardly imaginable” that he would make an error in this regard. It did acknowledge that the Athlete’s duty of care demanded more diligence on her part, noting that “[a]t the very least, she should have satisfied herself to an even greater degree that the doctor had checked the product against the Prohibited List. It was not enough for her to simply trust that he had (probably) done so”. Also of note, the Adjudication Committee discarded the notion that “a period of Ineligibility for longer than ‘far less than one year’ would be disproportionate”, referencing “settled case law in the CAS”. On 6 March 2017, the International Ski Federation (the “FIS”) filed a statement of appeal against the first instance decision seeking an increase of the sanction , naming both the Athlete and the Norwegian Olympic and Paralympic Committee and Confederation of Sports/Norges Idrettsforbund (the “NIF”) as respondents. On 27 April 2017, the Athlete also filed a statement of appeal seeking a reduction or elimination of the sanction. The NIF filed an answer to the FIS’ statement of appeal, but filed no comments to the Athlete’s statement of appeal. The CAS panel declared Swiss law applicable to the dispute. The summary of the CAS award focuses on those aspect that will be the object of our comment (Section E), i.e. (1.) the Athlete’s level of Fault, and (2.) the proportionality of the sanction. This CAS panel undertook to identify the Athlete’s level of Fault in order to determine the applicable sanction. For violations involving No Fault or Negligence, Athletes are not subject to any period of Ineligibility. For violations involving No Significant Fault or Negligence and Prohibited Substances that are not Specified Substances, like in the present case, Athletes are subject to a 12 to 24 month period of Ineligibility, depending on the Athlete’s degree of Fault (for violations involving Specified Substances, the available range extends from 0 to 24 months). Relying on the definition of Fault provided in Appendix 1 of the World Anti-Doping Code (WADC), the Athlete set forth that in determining her level of Fault, “the Panel should consider (a) the degree of risk that should have been perceived by the athlete; and (b) the level of care and investigation exercised by the athlete in relation to the perceived level of risk”. The Athlete submitted that in doing so, “the Panel must consider both objective elements (the steps taken to prevent the consumption of a prohibited substance, generally outlined in CAS 2013/A/2337 and subjective factors (such as Ms Johaug’s personal circumstances and any impairments)”. She further submitted that in delegating elements of her anti-doping duties to her team doctor, the fault that should be assessed is not her own, but the fault in her choice of delegate. The Athlete emphasized the weighty qualifications of the team doctor, and in particular, the fact that he had been practicing for more than 30 years, had “an extraordinary level of anti-doping education”, and a reputation “as a ‘fusspot’ because he was considered to be very strict in ensuring compliance” with the relevant anti-doping regulations. As to the violation itself, the Athlete submitted that the team doctor had been experiencing a high level of stress. Finally, she underscored that the team doctor “took full responsibility for the adverse analytical finding and has resigned from his position as team doctor”. As to her own actions, the Athlete emphasized four main points. First, she was in a “very poor state of mind”, as she was “extremely distressed as she was in severe pain and felt the wounds were not healing”. Second, she had confirmed with the doctor that the substance was not on the Prohibited List. Third, she was “obliged, pursuant to her team contract, to follow the team doctor’s guidance”. And, finally, she is “ordinarily very cautious with regards to her anti-doping obligations”, and in this case, “honestly believed that she had discharged her duty with regards to her anti-doping obligations”. Moreover, “she did not see herself as more competent that Dr Bendiksen in this regard” and that she was not aware that the team doctor was under a high level of stress at the time. (a) the medication came from Dr Bendiksen who purchased it himself and explicitly vouched for its safety; (b) Ms Johaug was seeking treatment for her lips, therefore the degree of risk perceived must be considerably less than might be the case if the treatment required an injection or oral ingestion; (c) she had suffered lip sores on many previous occasions and had no reason to suspect that treatment of the same issue would present any risk; (d) it is extremely unusual for Clostebol or similar substances to be used for the treatment of these types of sores, therefore there was nothing particular in the injury or treatment that should have led her to exercise a greater degree of care; and, (e) it was reasonable for Ms Johaug to believe that any necessary checks had been conducted in the time Dr Bendiksen had the Trofodermin in his possession (almost 24 hours). (a) Ms Johaug asked the person best placed to make decisions in relation to anti-doping issues; (b) she was contractually obligated to run any checks past Dr Bendiksen; (c) she expressly asked him whether the product was safe, even though most athletes would not have asked the question given his vast experience; and (d) Dr Bendiksen affirmed that Trofodermin was safe to use. The Athlete argued that her violation should be considered to have been committed with No Fault or Negligence in the sense of Article 10.4 of the WADC, and therefore not be subject to any period of Ineligibility. Alternatively, she submitted that the violation was committed with No Significant Fault or Negligence, in the sense of Article 10.5.2. In her view, the circumstances of her violation warranted “the maximum reduction possible” under this provision, i.e. a one-year period of Ineligibility. As an additional alternative, the Athlete submitted that in any case, “any period of ineligibility would be disproportionate”. The FIS contested that the Athlete’s circumstances represented a low level of Fault. First, it did not see any basis on which her contractual obligations would excuse her deviation “from strictly observing her personal duty to make sure no prohibited substance entered her body”. Second, it rejected not only the Athlete’s submissions as to the proper manner to evaluate her Fault in the event that she delegated her anti-doping obligations, but also that she delegated her anti-doping duties at all. To the FIS, the “athlete’s personal duty of care may include asking a medically trained person about doping risks of a certain product, but that is only one of several precautions that must be observed”. It emphasized that “[a]n athlete may not blindly rely on a doctor’s answer, especially when the doping risk is so obvious, as in the present case”. It further challenged the Athlete’s assertion that in cases in which third party help is sought in fulfilling her anti-doping obligations, by submitting that CAS case law provides that the evaluation must not only include her choice of delegate, but also include her monitoring and supervision of the delegate. It further referenced in support of its position that the Athlete should have acted more vigilantly, given that (i) determining whether the product contained a Prohibited Substance “required no medical knowledge at all”; (ii) that the recent doping case involving her teammate, should have alerted the team doctor to take greater precautions “before providing medical advice to one of the team’s top athletes”. Finally, the FIS accepted that the Athlete was not attempting to enhance her performance, but nevertheless fell short of her duty of “utmost caution”, notably by disregarding the clear doping warning on the package, failing to notice that “Clostebol” was also written clearly on the package, failing to review the product information, not conducting an internet check, and not consulting WADA’s Prohibited List. To the FIS this was supported by the fact that she had suffered from sunburn and blisters in the past, but in this case, she used a completely unknown product from a foreign country. To the FIS, a finding of No Significant Fault in general may only reduce an Athlete’s period of Ineligibility in cases in which the deviation from the duty of care of “utmost care” are “truly exceptional”. To meet this duty of care, and in looking at the objective circumstances of the case, the FIS submitted that the Athlete would have been required to check the product label, especially since she was using it for the first time and in a foreign country. Her failure to do so, in its view, in itself constituted a “significant or considerable degree of fault”, and the fact that she did consult her team doctor, may result in a “normal” – but not below – level of Fault. To the FIS, “[a]s recognized in CAS 2014/A/3798, it is not sufficient to ask a doctor whether the product is clean – the athlete cannot rely on support staff”. 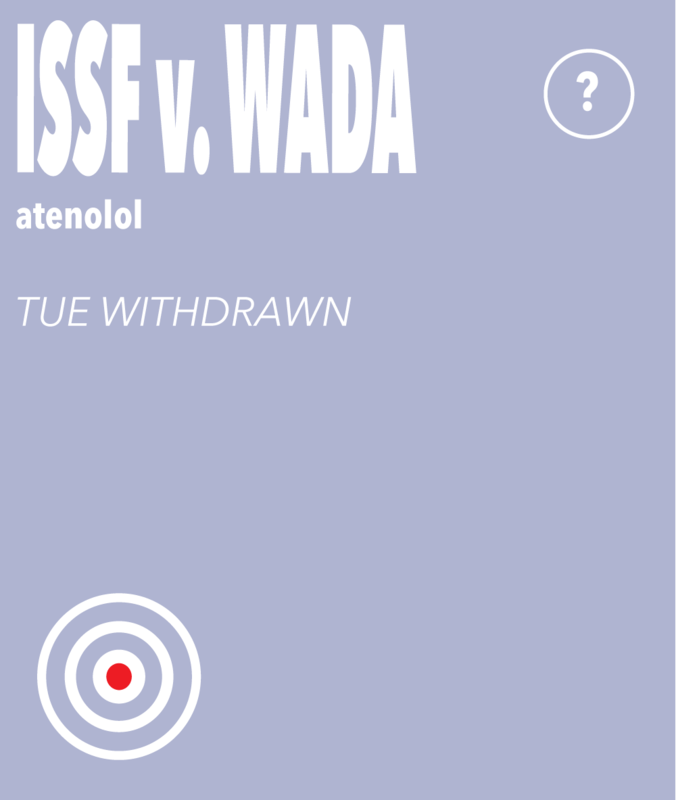 The FIS also brought attention to the fact that the Athlete’s phone could not display the Prohibited List, alleging that this indicated that she had never consulted the list, as well as noting that it was “alarming” that “she failed to fulfil the minimum requirements of checking the e-learning program on anti-doping until after the incident”. In conclusion, it submitted that a period of Ineligibility in between 16-20 months – which in its view corresponded to a “normal” level of fault – was appropriate. The CAS panel rejected the Athlete’s submission that she committed her violation with No Fault. In framing its analysis, the CAS panel recalled the wording from the definition of Fault in Appendix 1 of the WADC that provides: “the circumstances must be specific and relevant to explain the Athlete’s or other Person’s departure from the expected standard of behavior”. It also found “instructive” the approach outlined in the Cilic CAS award, highlighting in particular the roles of an Athlete’s “objective” and “subjective” level of Fault, as well as the five preventive measures that the Cilic panel set forth that if taken, in its view, would at least in theory avoid an anti-doping rule violation. Confirmed that verifying whether Clostebol was a Prohibited Substance required no knowledge of Italian and could have been accomplished with a simple internet search (the importance of which, the CAS panel declared stressed in a prior CAS award). The Puerta award, providing that “[e]ven where the circumstances are ‘extraordinary’ and there is minimal negligence, athletes are not exempt from the duty to maintain ‘utmost caution’”. An athlete bears a personal duty of care in ensuring compliance with anti-doping obligations. The standard of care for top athletes is very high in light of their experience, expected knowledge of anti-doping rules, and public impact they have on their particular sport. It follows that a top athlete must always personally take very rigorous measures to discharge these obligations. An athlete cannot abdicate his or her personal duty to avoid the consumption of a prohibited substance by simply relying on a doctor. Although Ms Johaug selected an eminently qualified doctor to assist her in her anti-doping obligations, the ultimate responsibility lies with her. …It is not appropriate for an athlete, without any substantiation, to draw a conclusion that her doctor has carried out his responsibilities properly, and subsequently adjust her own level of diligence according to what she thought the doctor could have done. Finally, a majority of the CAS panel rejected the Athlete’s argument that she may “delegate her anti-doping responsibilities to a third party, and that the fault to be assessed is not that made by the delegate but the fault made by her in her choice of delegate”. In essence, the Johaug panel rejected the Athlete’s interpretation of the CAS awards she had cited in support of this argument, most notably the Sharapova award. The CAS panel emphasized that in the Sharapova matter, the parties “had agreed to follow the approach that athletes are permitted to delegate elements of their anti-doping obligations”. The CAS panel did accept that the Athlete had committed the violation with No Significant Fault, mainly due to the fact that “she had acted upon the advice of Dr Bendiksen, a highly-respected expert in anti-doping, and that the Trofodermin had been provided by him”, agreeing with the FIS that, considering the totality of the circumstances of this case she exhibited a “normal” degree of fault, placing her sanction within the 16- to 20-month range. Inspired by the Cilic analysis set forth above, the CAS panel examined the “subjective” factors of the case to determine where in this range the Athlete’s Fault would lay. Notably, it considered that with her “extremely high level of experience and success as an international athlete”, and taking into account the fact that in her sporting career, “she has been subject to approximately 140 doping control tests”, she “should have been very familiar with the rigorous standards expected of an athlete such as herself”. It concluded that “in light of her personal capacities, Ms Johaug would certainly have been expected to at very least check the label and conduct a basic internet search”. if athletes were allowed to escape their personal duty by passing it on completely to an expert in anti-doping (such as a specifically qualified doctor), this could create a more advantageous position for wealthier athletes who have more resources to engage experts, leading to potentially unequal treatment in assessing compliance. Nevertheless, appropriate reliance on a well-known and respected expert can provide some basis to envisage a reduction, as in this case. The CAS panel’s view was that the Athlete’s overall circumstances placed her in the middle of the 16- to 20-month range, of potential periods of Ineligibility. 2. Is the sanction proportionate? With respect to retribution, there would be something very wrong with a system that punishes athletes for doing what they are always cautioned to do. On the goal of education, it is questionable what the lesson learned would be. The Athlete argued that, even if one were to accept that the sanction is capable of meeting its justifiable aims, it failed to strike a reasonable balance between the “misconduct” and the sanction imposed. In this respect, the Athlete considered her misconduct to be, in essence, following the advice of “a very experienced sports doctor”. She submitted that she had already been punished enough for this misconduct, and in particular that she had already been publicly branded a “cheat”, that she has missed the entire 2016 – 2017 season, she has not been able to train with her teammates, and she has lost her main sponsor – and the resulting large income. Finally, she asked the CAS panel to consider in its proportionality analysis the nature of the product involved in this case in light of the logic of the WADC in treating differently Specified Substances from non-Specified Substances. The Athlete set forth that the WADC labels particular Prohibited Substances as “Specified Substances” on the basis that “there is a greater likelihood that Specified Substances, as opposed to other Prohibited Substances, could be susceptible to a credible, non-doping explanation”. In the Athlete’s view, the WADC’s approach of creating a special category of “Specified Substances” on this basis created an “artificial division” since the “reality is that specific circumstances of any given case will determine whether there is [a] ‘credible non-doping explanation’”. In this case, this division is, in short, not supported since the Athlete’s situation, i.e. that she used a “lip cream – a product completely unrelated to sports performance”, and this represents a “credible non-doping explanation” but is nevertheless subject to a mandatory minimum period of Ineligibility of 12 months based on the fact that the substance found in the lip cream happened to not be a “Specified Substance”. The FIS did not appear to have made any submissions specifically addressing the issue of proportionality in the CAS award beyond its submissions as to the appropriate length of her sanction based on the provisions of the WADC. This notwithstanding, the majority of the CAS panel rejected the Athlete’s proportionality arguments, finding instead that an 18-month sanction was appropriate. The CAS panel rejected the Athlete’s position that the “misconduct” in this case amounted to doing “as all athletes are always told to do and as she was contractually obligated”, quoting the following passage from a previous CAS award: “it is a key principle of the fight against doping that an athlete cannot blindly rely on his support staff, including doctors. 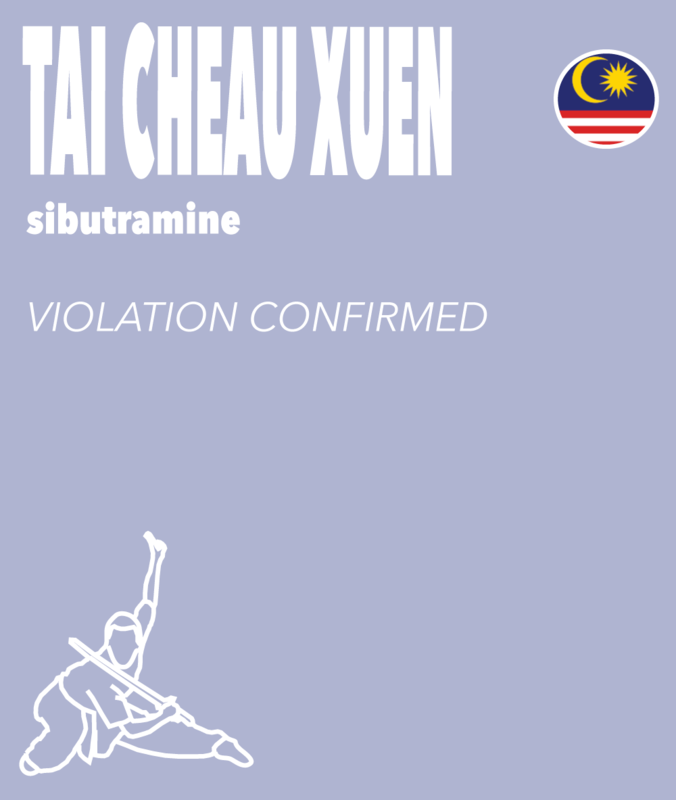 An athlete has a personal duty to ensure that no prohibited substance enters his or her body. 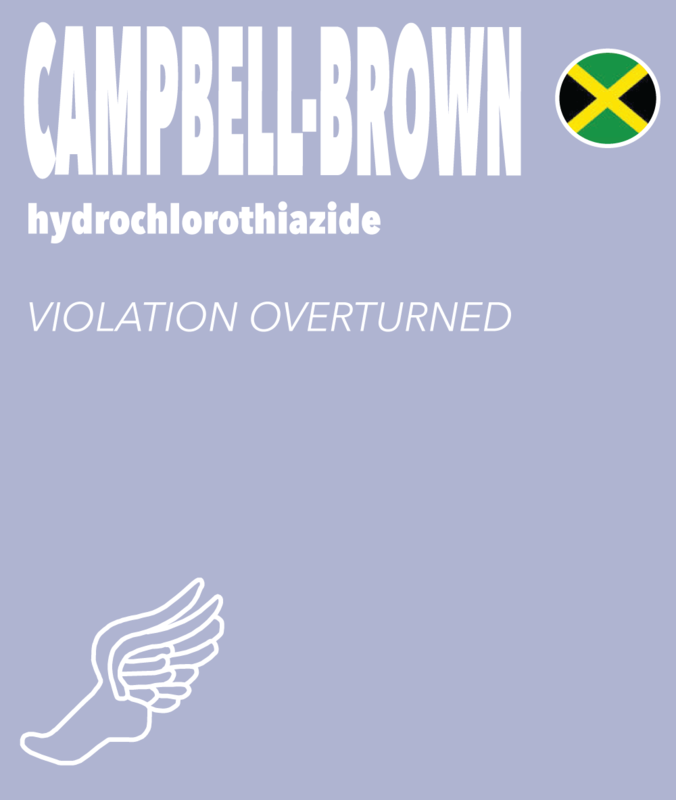 He is responsible for the conduct of people around him from whom he receives food, drinks, supplements or medications, including his doctor, and cannot therefore simply say that he trusts and follows their instructions.” In its view, nothing prevented the Athlete from conducting her own research into Trofodermin. 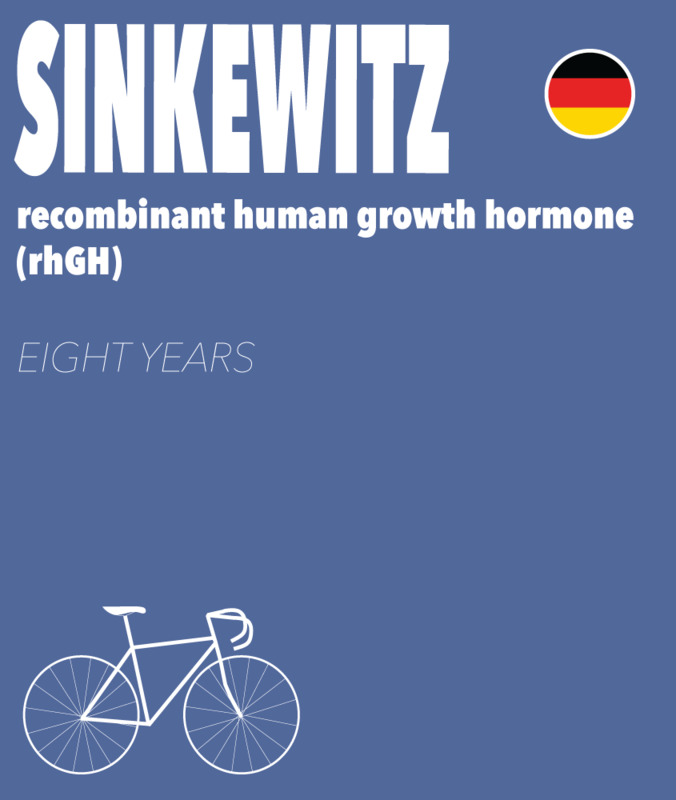 [T]he fact that an Athlete would lose the opportunity to earn large sums of money during a period of Ineligibility, or the fact that the Athlete only has a short time left in his or her career, or the timing of the sporting calendar, would not be relevant factors to be considered in reducing the period of Ineligibility under Article 10.5.1 or 10.5.2. Accordingly, the CAS panel rejected as irrelevant to the Athlete’s sanction all of the personal circumstances she raised, including the “stress and stigma that will be attached to her name for the rest of her life”, that the provisional suspension had already caused considerable damage to her career and income, the denial of her right to train with her teammates, the significant loss of income due to the loss of her main sponsor, and that she will miss the next Olympic games. It emphasized instead that “sanction must be commensurate with Ms Johaug’s degree of fault and the factors Ms Johaug has pled do not warrant a reduction beyond the prescribed minimum”. 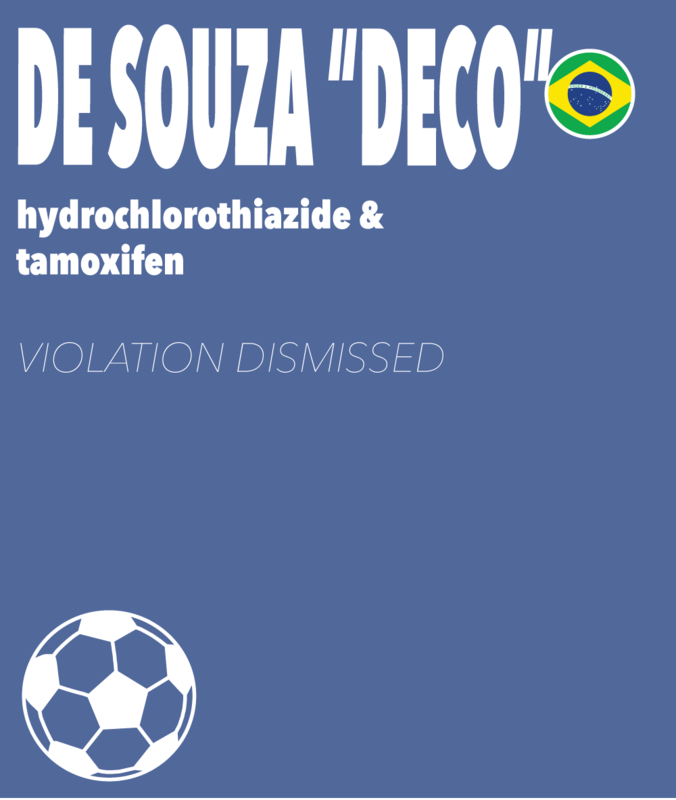 Recalling the Athlete’s duty of care and diligence, the CAS panel concluded that “[t]his is not a case of exceptional inadvertence where truly unexpected ingestion of a prohibited substance would warrant an additional reduction of sanction based on proportionality”. In support of its reasoning, the CAS panel again called on the support of past CAS awards, in making the observation that “the WADA Code has been found repeatedly to be proportional in its approach to sanctions, and the question of fault has already been built into its assessment of length of sanction”. The CAS panel did not address in the award the Athlete’s submissions with respect to the alleged unfairness between the treatment of Specified and non-Specified Substances with respect to sanctioning. In this comment, we focus on three aspects of the Johaug award, the role of delegates (1. ), an Athlete’s duty of care (2. ), and proportionality in anti-doping disputes (3.). In our view, the Johaug CAS panel’s approach to evaluating an Athlete’s Fault when an Athlete consulted a third party to perform his or her anti-doping duties is to be approved. It is more in line with CAS jurisprudence and closes a loophole that was left open by the CAS panel in the Sharapova matter. The Sharapova panel – upon agreement of the parties – evaluated Ms Sharapova’s fault in relying on her manager to confirm that the products she took did not contain a Prohibited Substance primarily based on her choice of delegate (the reasoning which is inspired from the Swiss regime on liability in tort of the employer for damage caused by his employee includes three elements: diligence in selecting, diligence in instructing and diligence in supervising). While the Sharapova CAS panel did recall the importance of oversight of the third person, this factor was not decisive in the CAS panel’s reasoning since Ms Sharapova performed practically no oversight, and nevertheless was considered to have acted with No Significant Fault. Moreover, the Sharapova award also downplayed the criteria of “selection” of a delegate and the role of the qualifications of such “delegate”, by reasoning that since “checking a substance against the Prohibited List is not an action for which specific anti-doping training is required” her “delegate”, who had no scientific or medical background was “sufficiently qualified”. At the time, we expressed doubts as to whether such a general statement of this kind was realistic in the context of the complexity of the Prohibited List. A further concern we expressed in a previous contribution was the following: if Athletes could no longer be held accountable for the actions of their support staff, what would then stop unscrupulous Athletes, teams, national federation or National Olympic Committees from hiding behind a coach or doctor who agrees to cover for them? In the Johaug award, the CAS panel clarified at the outset that the concept of “delegate” is misplaced in this aspect of anti-doping. It made clear that the Athlete’s responsibility to ensure no Prohibited Substances enters his or her system is a personal duty. From this vantage point, an Athlete cannot simply rely on an Athlete Support Personnel to check the Prohibited List on his or her behalf, and avoid a weighty sanction if they misperform; instead, the question always comes back to what the Athlete did to avoid the anti-doping rule violation. Thus, the choice to consult an expert is one mitigating factor among others. 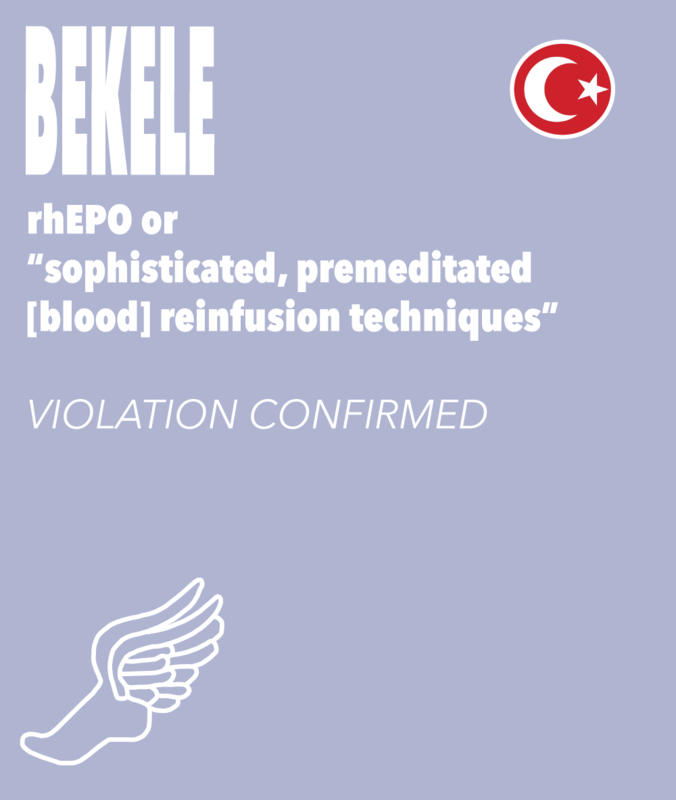 Further, even if the choice was contractually mandated, relying on the delegee cannot excuse entirely an Athlete from an anti-doping rule violation in the sense of establishing No Fault or Negligence under Article 10.4. It could, however, serve to establish that the Athlete acted with No Significant Fault or Negligence under Article 10.5. In this approach, the Athlete’s choice of delegate can be given due importance; the more highly qualified the expert consulted, the more favourable this factor for the Athlete. As a matter of anti-doping policy, the test proposed seems preferable to the Sharapova approach, to the extent it encourages – and rewards – Athletes who seek the best expert available. It makes good sense that an aAhlete who consulted an expert who made a rare error should be less at Fault than an Athlete who relied on the advice of someone with little or no anti-doping knowledge. It is worth mentioning that the Johaug panel, in order to justify its departure from the test chosen in Sharapova, insisted that the parties in the Sharapova case had “agreed” to this approach in the evaluation of Fault based on delegation. This raises interesting questions about the power of review of CAS panels in anti-doping disputes, since it would appear to extend deference to the parties’ agreement on facts to the parties agreement as to a point of law (i.e. what legal framework is appropriate for analysing the facts). Typically, at least from a civil law perspective (and Swiss law was applicable both as a lex arbitrii and on the merits in this case), arbitrators are bound by the parties’ assessment of the facts of the case – with rare exception, the arbitrator will only exercise its role as fact-finder with respect to disputed facts. Facts that are not disputed do not require proof. The same cannot be said for points of law. According to the principle iura novit curia, which also apply under Swiss arbitration law, even if the parties agree that a certain legal assessment is correct, the decision ultimately rests with the arbitral tribunal. Whether parties agreed or not on the appropriate legal test for assessing an Athlete’s Fault ought thus to be – if not irrelevant – certainly not decisive to the CAS panel. In practice, however, CAS panels will frequently tend to analyse only issues of law that have been raised by the parties as contentious (given their underlying contractual nature which defines their mission as resolving the dispute at hand irrespective of any ‘doctrine of binding precedent’). It is submitted that CAS Panel should resist the temptation of deferring to the parties’ agreements on legal matters given their broader mission recognised to them in ‘sports law’ to harmonise the adjudication of doping disputes within a supreme court of sport, in particular in high profile cases like Sharapova. “Agreements” on point of law should be carefully scrutinized by the Panel in all situations, not only when the “concession” is made by a poorly represented Athlete but also, like in Sharapova, when it is made by a wealthy represented sport governing body. The CAS panel repeatedly underscored that the most basic requirements in fulfilling the duty of “utmost care” are i.) checking the product label and ii.) doing an internet search. At first sight, it is difficult to disagree with this statement. If every Athlete performed these basic tasks, this would undoubtedly have the beneficial effect of reducing the number of inadvertent anti-doping violations, which detract resources from the “true” purpose of fighting doping in sports, i.e. reducing or eliminating the use of substances either taken with the intention to cheat in sports or that seriously put the Athlete’s health at risk. Nor is it very controversial to assert as a general principle that Athletes cannot rely solely on the words of trusted medical professional – or any other third party. Again, few would argue that a different approach would, in principle, yield better results. The question this award raises between the lines is whether adequate steps are being taken by the anti-doping community to alert Athletes of these cornerstone principles. Nowhere does the WADC state clearly that Athletes must, at a minimum, read the product label and perform an internet search to meet their duty of “utmost caution”, nor does it even say simply that Athletes must exercise “utmost caution”. The phrase “utmost caution” is only mentioned in the definition of No Fault or Negligence, and to reach the conclusion that Athletes have a general duty of “utmost caution” from this definition requires a level of interpretation and background knowledge that would be – at best – questionable to expect from Athletes. Nowhere in WADA’s “Athlete Reference Guide to the 2015 World Anti-Doping Code” is there an instruction that they are expected to check a product label or do an internet search of the ingredients on a product. 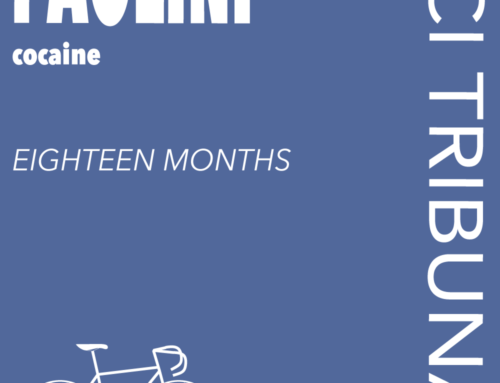 More broadly, the guide provides almost no information on what Athletes can do to avoid inadvertent anti-doping rule violations, beyond the risks of taking supplements, and what the consequences might be if they do not. Rather, the guide replicates the rather technical terminology used in the Code of “fault”, and provides very little further details. In our view, a striking aspect of the CAS panel’s reasoning in the Johaug award is its extensive reference to past CAS awards in defining the nuances of an Athlete’s duty of care. Instead of asserting that these steps are obvious “common sense”, throughout its assessment of the Athlete’s Fault and the proportionality of the sanction, the Johuag panel referenced no less than thirteen different past CAS awards, dating as far back as 2005 to define and support the contours of its analysis. While the importance and utility of ensuring a consistent approach in CAS case law to ensure equal treatment surely can not be understated (see above on the challenges involved in this for arbitral tribunals), excessive consultation of past awards may also present a risk of developing concepts unfamiliar to Athletes beyond those provided in the text of the WADC. It is often already difficult for those involved on a day-to-day basis in anti-doping regulation to point to the trends in CAS case law and distil from these concepts the basic actions that an Athlete could (and should) take to prevent an anti-doping rule violation. It is a completely different matter yet to hold an Athlete accountable to a standard that she was not necessarily aware existed. No one could reasonably suggest that Athletes are expected to keep abreast of the latest trends set forth in CAS jurisprudence. Thus, the repeated references might conceivably leave the reader of the award with the unfortunate impression that anti-doping law is an insider’s game, formed in CAS awards but not recorded in the applicable rules nor readily made available in a digestible form for Athletes. It cannot be enough to impose a sanction based mostly on a CAS panel’s sense that high profile Athletes are supposed to have known better. It bears noting that anti-doping regulations of international federations such as the FIS are not comparable in this with criminal or other national law: since Athletes submit to these rules on a contractual basis, there can be no fiction of ‘nemo censetur ignorare legem’. Perhaps the lesson to be taken away from this case is that more emphasis ought to be placed on anti-doping education, and in particular prevention. Currently, Athletes and Anti-Doping Organizations both bear responsibilities for education with respect to their anti-doping obligations. Athletes bear responsibility for knowing the rules, but only Anti-Doping Organizations are expressly obligated to promote educational programs aimed at preventing both intentional and unintentional violations. However, these obligations are not well-defined, nor do they appear in a portion of the Code that must be adopted by Signatories “without substantive change”. Absent more educational efforts, Anti-Doping Organizations will continue to be placed in the unfortunate position of needing to expend considerable resources to pursue anti-doping rule violations that have no effect on competition or even on the Athlete’s health, instead of focusing on cases that do. The same can be said for Athletes defending such violations. In other words, as a policy decision, the anti-doping movement would be better served by going after the ‘Lance Armstrongs’ of the world than the ‘Therese Johaugs’; good arguments can be made supporting the notion that heavy sanctions should be reserved for the former. One route might be to explore manners to enhance the educational obligations of stakeholders, or perhaps make efforts to make educational programs ‘mandatory’ for elite Athletes, by for example, making a certification program a necessary prerequisite for receiving a competition license. Certainly, a more robust anti-doping education would at the very least give detractors a greater level of comfort that an 18-month sanction for an inadvertent violation sprung from wilful ignorance rather than an honest misunderstanding, and thereby a more satisfactory sense that such a harsh sanction was justified. The CAS panel’s approach in the Johaug matter highlights a perceivable trend in CAS awards, especially recent ones, to treat dismissively an Athlete’s plea of disproportionality. In this matter, the CAS panel adopted a narrow view of proportionality, declaring its mission to be “to apply a proportionate sanction consistent with the level of fault”. By doing so, it was able to discard the Athlete’s personal circumstances, such as the stress and stigma she has already suffered, the loss of income, the loss of an entire competitive season, and the loss of the opportunity to compete in the next edition of the Olympic Games, declaring all of these irrelevant to a potential reduction in her sanction. This view appears in line with the legal opinion that was requested by WADA prior to the adoption of the first WADC in 2003, which recommended “that the only possible basis for exercising flexibility in the setting of sanctions should be the existence of fault or negligence, or lack thereof, on the part of the athlete”, a view the commentators reached in light of the important legitimate aim of the WADC to harmonize the approach to anti-doping sanctions across sports. 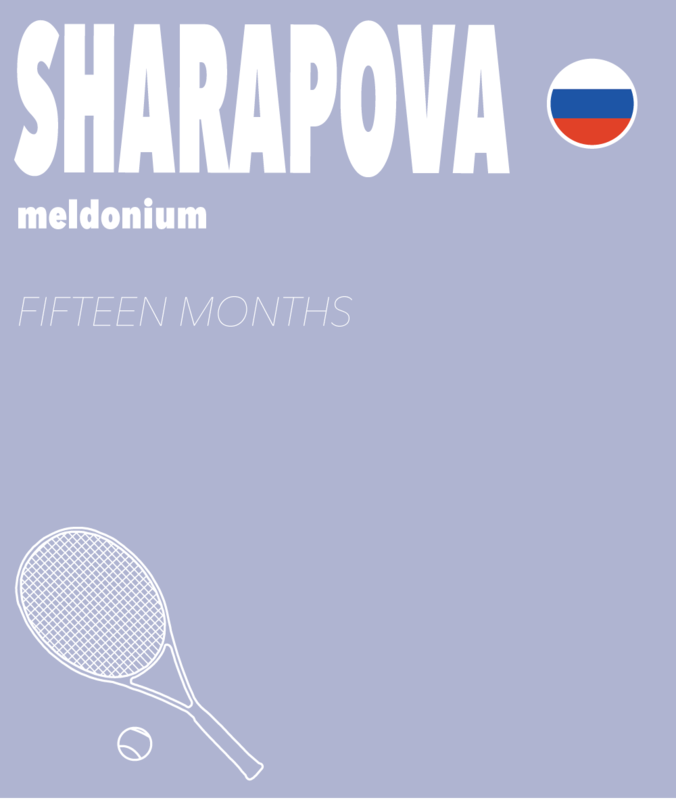 As further justification of the proportionality of the Athlete’s sanction, the CAS panel cited the Sharapova award in support of the notion that “the WADA Code has been found repeatedly to be proportional in its approach to sanctions, and the question of fault has already been built into its assessment of length of sanction”. These statements highlight a recurring ambiguity about the boundaries of a proportionality analysis in anti-doping cases. Most agree that proportionality in this context means something along these lines: “there must be a reasonable balance between the kind of the misconduct and the sanction”, and more specifically “[t]o be proportionate, the sanction must not exceed that which is reasonably required in the search of the justifiable aim”. Two applications of this concept coexist. On one hand, the narrow application – adopted by the Johaug panel – whereby the WADC sanctioning regime is designed to be proportionate, so any sanction assigned in line with the provisions of the WADC, and properly taking into account the fault of an Athlete, must also be deemed proportionate. On the other hand, the broader application in which the panel is asked to assess whether considerations of proportionality in the specific circumstances of the case justify imposing a sanction departing from the range prescribed by the WADC. Under this latter view, a hearing panel is responsible for assessing “how heavy the interests of anti-doping weigh against the interests of the Athlete separately for each issue at stake” and “[t]he result of this test cannot be determined through a global assessment”. There is also a sort of middle ground that allows for a reduction of an otherwise properly determined sanction only if “the award were to constitute an attack on personal rights which was extremely serious and totally disproportionate to the behaviour penalised”. Despite the fact that this approach seemed to have developed from an inadequate ‘transplant’ of a Swiss Supreme court decision, it could be used as a valuable condition seeking to set a threshold for evaluating when the personal circumstances of an Athlete might outweigh interests of a harmonized approach. Of note, CAS panels who have departed from the WADC sanctioning regime based on proportionality grounds did so based on a strong feeling of a lack of fairness in an individual case and under former versions of the WADC, at a time where the lack of flexibility in the sanctioning regime was often perceived as unduly precluding panels from doing justice to an Athlete. The revisions leading to the 2015 WADC were aimed in part at allowing for more flexibility in the sanctioning regime but did not really change the regime regarding non-Specified Substances. One would have thought that this ‘anomaly’ in the WADC would have acted as an incentive for CAS panels to resort to the proportionality tool in cases where the sanction appears especially harsh in light of the circumstances of the case. This was clearly not the approach taken by the (majority of the) Johaug panel. Tellingly, and at least to some extent disappointingly, the CAS panel did not – at least not expressly – address the Athlete’s argument concerning the disparities in the sanctioning regime for Specified Substances and non-Specified Substances. This argument would have merited at the very least a discussion, as it raises issues that are not easily reconcilable with the principle of proportionality and that have not been satisfactorily addressed in CAS case law. 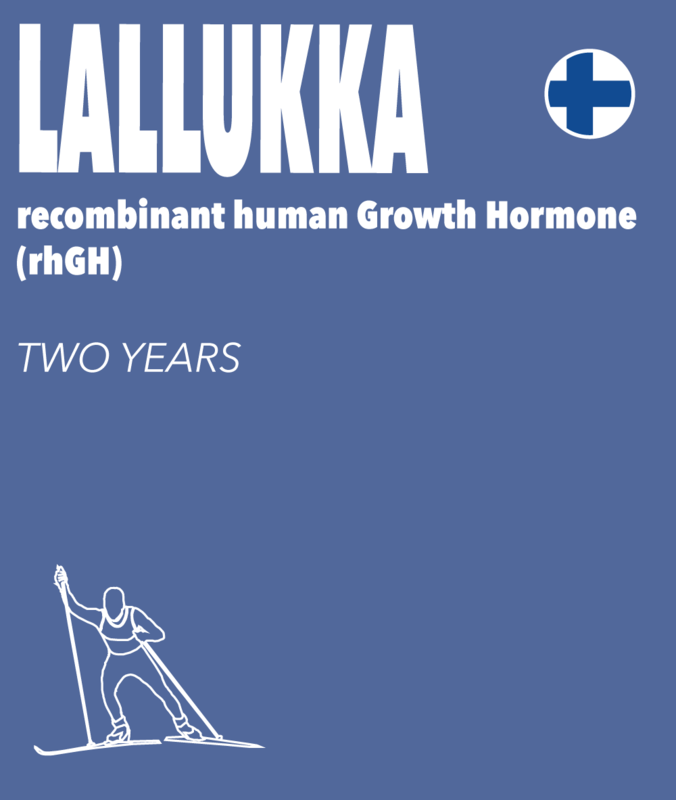 Had the Athlete in the matter at hand been fortunate enough to inadvertently take a medicine containing a Specified Substance, transposing the reasoning employed by the Johaug panel to determine the appropriate sanction would have placed her in the middle of an eight to sixteen-month range of sanctions – i.e. 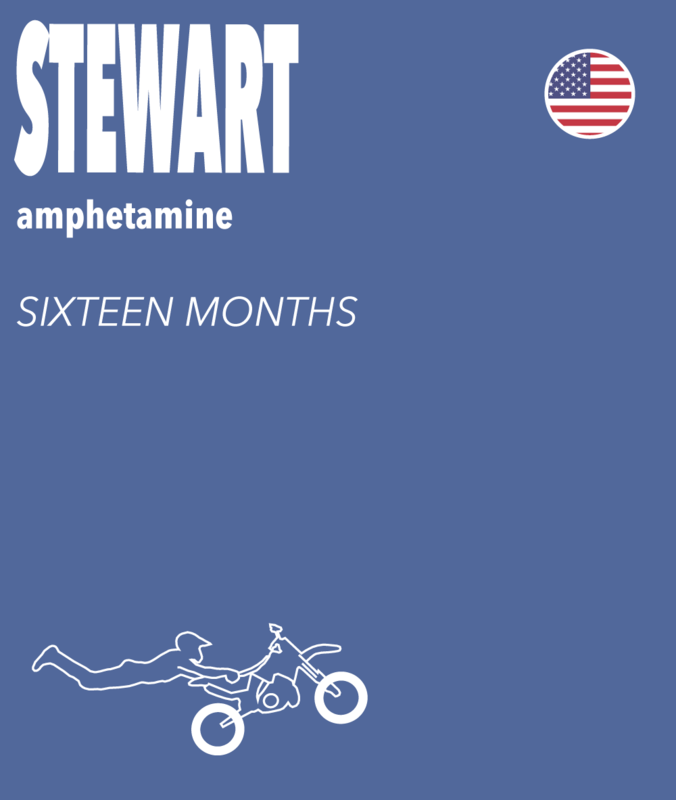 twelve months. As set forth by the Athlete, it is difficult to find support for applying an 18 month instead of 12 month sanction, considering the WADC’s justification for the different treatment of Specified and non-Specified Substances, other than for Contaminated Products. In this case, the substance taken was purely fortuitous and no indication was made that the Athlete experienced any “benefit” from the substance beyond a return to normal health. A comparison with the Cilic matter – which was cited throughout the Johaug award – highlights the consequences of this disconnect in practice. 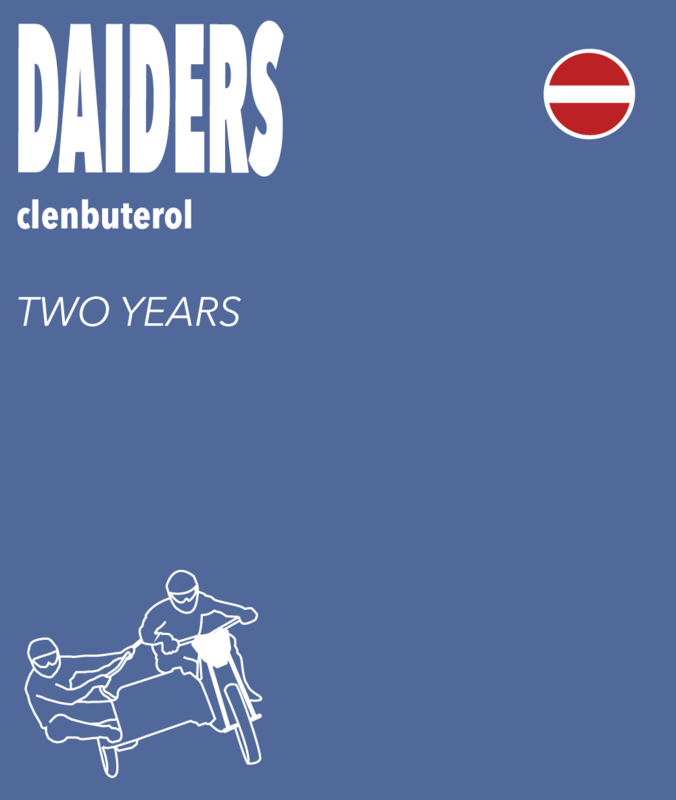 In the Cilic matter, a tennis player – also an elite Athlete competing at the highest level in his sport – was found to have committed an anti-doping rule violation when he consumed glucose tablets that contained a Prohibited Substance that plainly appeared on the product label. Like in the Johaug matter, the product label was written in a foreign language unknown to the Athlete, but unlike the Johaug matter, after reading the label, he mistakenly thought that the Prohibited Substance was another, similar sounding, but authorised substance. His mother had consulted the pharmacist and received his assurance that it did not contain any Prohibited Substances. 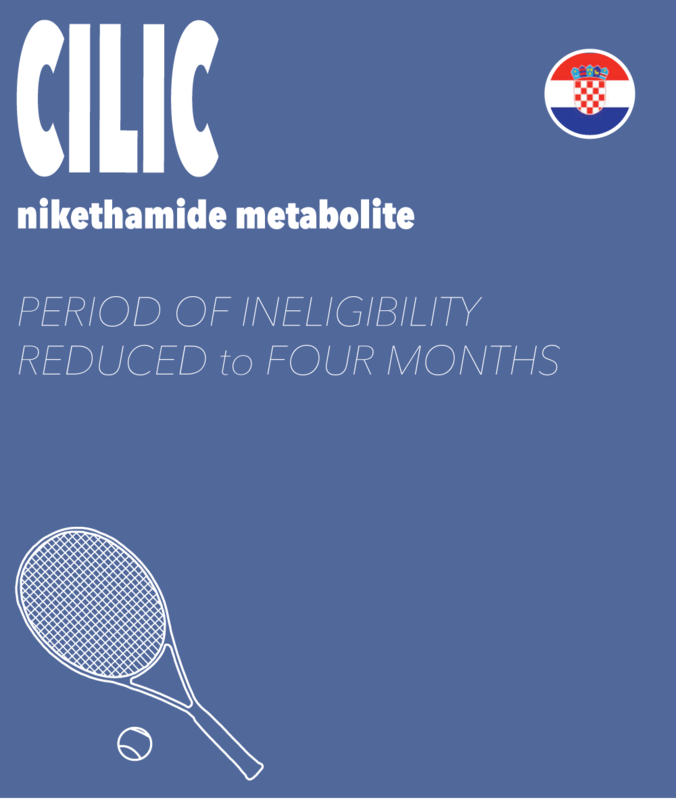 Since Mr Cilic was fortunate enough to have inadvertently consumed a Specified Substance, his “light” fault in committing the violation yielded a four-month period of Ineligibility. In other words, a full fourteen months less than the period of Ineligibility imposed upon the Athlete in the Johaug matter. While differences do exist in the fact patterns in the cases, such as the fact that the tennis player in the Cilic matter did in fact look at the product label, one can legitimately question the proportionality of a sanctioning regime that yields such disparate results based mostly on whether one Athlete was lucky enough to test positive for a Specified Substance, and the other not. A proportionate sanctioning regime must not appear to Athletes and the outside observer to function more like a game of Russian roulette than a well-principled exercise founded on defensible legal principles. This disconnect is not foreign to the drafters of the WADC. The 2015 WADC revision process added the “Contaminated Products” provision, precisely to rectify this same injustice in the context of Contaminated Products – another scenario in which the nature of the substance is completely random and bears little or no relation to the circumstances of the case. 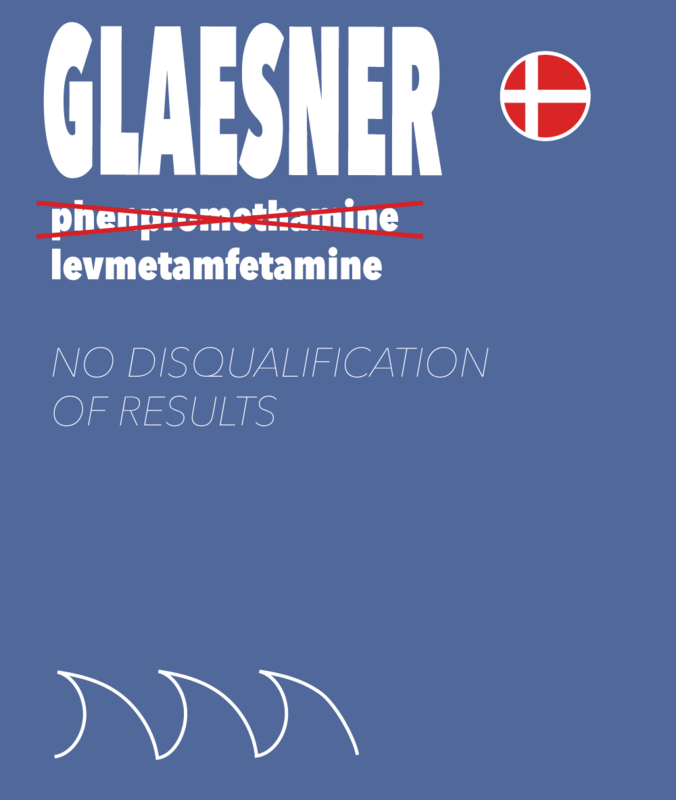 Unfortunately, at this point the disparity remains for situations that are not contamination, but in which the type of Prohibited Substance ingested is similarly the result of chance and in which the type of substance appears overall irrelevant to the seriousness of the violation. A different, yet related, question is whether the pursuit of harmonisation in anti-doping should leave any room for the consideration of an Athlete’s individual circumstances, beyond those related to Fault. De facto, consideration of individual circumstances detached from the Athlete’s Fault in relation specifically to the violation is already mandated by the 2015 WADC when a Minor is involved, since Minors are exempted from the requirement for proving the origin of the substance. In the absence of an explanation as to what happened, this means that the CAS panel may have to reduce the Athlete’s sanction based on general considerations related to the Athlete’s age, experience and maturity, without being able to rely specifically on factors relevant to the Athlete’s Fault in committing the violation. Having introduced this ‘exception’ in the assessment of sanctions in connection with Minors, there is no reason to exclude this type of assessment for adult Athletes. The circumstances of the Johaug matter make an especially strong case for the more “case-specific” approach to the question of proportionality. The type of “misconduct” involved falls at the very outer margins of the legitimate aim of eliminating or reducing doping in sports. In cases in which the circumstances of the case do not involve a “real cheat” to borrow the parlance of WADA, the weight of the “legitimate aim” to deter doping is automatically diminished since the violation involved does not fit within the concept of “real doping”. In cases like the Johaug case, in which i.) it is common ground that there was no intention to cheat and that use occurred entirely outside the context of sport performance, and ii.) there is no evidence that she did, or could have possibly, enhanced performance and distorted sporting competition, strict adherence to the rigid confines of the WADC sanctioning regime becomes more questionable. The CAS panel’s approach (deliberately) overlooks that the Athlete experienced severe personal consequences that the Athlete experienced from her inadvertent violation, raising questions as to the ultimate role of the CAS in anti-doping disputes. This concern has teeth, since the Johaug panel’s approach effectively leaves Athletes without a tribunal to raise a plea of proportionality of the WADC sanctioning regime: The Swiss Supreme Court only reviews proportionality from the extremely narrow perspective of compliance with public policy, and has repeatedly refused to do so with respect to doping sanctions. In spite of the well-reasoned character of the award, the feeling that lingers after the Johaug case, especially for those familiar with the Sharapova award, is that Therese Johaug was unfortunate to accumulate all factors that account for the situations in which the WADC turns out to be particular harsh on Athletes. Though the consequences imposed on her are perfectly in line with the WADC, this is one of the cases in which one intuitively feels that justice was not entirely done, especially when compared to the other cases cited in this Comment. This is certainly in part due to the fact that CAS panels, as individual arbitral tribunal, are inherently ill-suited for ensuring uniformity of jurisprudence. More importantly, in spite of all the adjustments that have been done to the WADC over its different editions to achieve fairness, the system as a whole is still rooted in a model that assumes the overwhelming majority of Athletes who test positive will have committed some form of doping-relevant, reprehensible act (whether by intent or by their negligence). In this model, Athletes like Therese Johaug are merely rare and inevitable ‘collateral damage’ of the system. Unfortunately, CAS case law proves again and again that the occurrence of ‘collateral damage’ is far from being marginal. Cases like the one of Therese Johaug risk not only to create public confusion as the real goals of anti-doping, but also to take resources away from the core mission of anti-doping organisations. 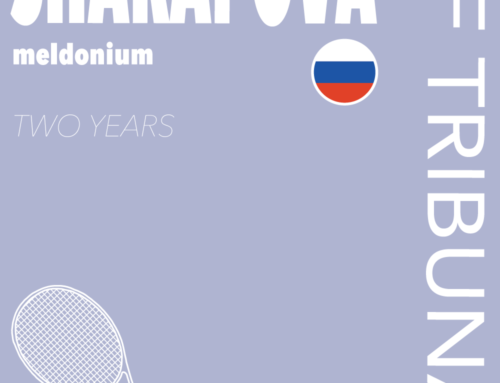 CAS 2016/A/4643, Sharapova v. ITF, Award of 30 September 2016; See also our Comment on the Sharapova matter at the CAS Rigozzi A, Viret M, Wisnosky E, Switzerland Anti-Doping Reports: The Sharapova CAS award, I.S.L.R 2017, 1: 27-41. Johaug CAS award at –. Johaug CAS award at . Johaug CAS award at . The product was not registered in Norway. Appendix 1 of the WADC defines “Fault” as follows: “Fault: Fault is any breach of duty or any lack of care appropriate to a particular situation. Factors to be taken into consideration in assessing an Athlete or other Person’s degree of Fault include, for example, the Athlete’s or other Person’s experience, whether the Athlete or other Person is a Minor, special considerations such as impairment, the degree of risk that should have been perceived by the Athlete and the level of care and investigation exercised by the Athlete in relation to what should have been the perceived level of risk. In assessing the Athlete’s or other Person’s degree of Fault, the circumstances considered must be specific and relevant to explain the Athlete’s or other Person’s departure from the expected standard of behavior. Thus, for example, the fact that an Athlete would lose the opportunity to earn large sums of money during a period of Ineligibility, or the fact that the Athlete only has a short time left in his or her career, or the timing of the sporting calendar, would not be relevant factors to be considered in reducing the period of Ineligibility under Article 10.5.1 or 10.5.2”. Johaug award at . The CAS award reference is to: CAS 2013/A/3327, Cilic v. International Tennis Federation, Award of 11 April 2014, see also our comment on the Cilic award,  I.S.L.R. 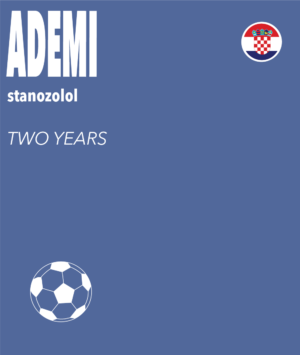 issue 2, pp. 33–40. Johaug award at . The statement is in reference to the Sundby matter: CAS 2015/A/4233, WADA v. Sundby, Award of 11 July 2016. Johaug award at , the CAS award referenced is: CAS 2014/A/3798, Decembrini v. Federation Internationale de Roller Sports, Award of 4 March 2015. Johaug award at  referencing CAS 2010/A/2229, WADA v. Berrios, Award of 28 April 2011, para. 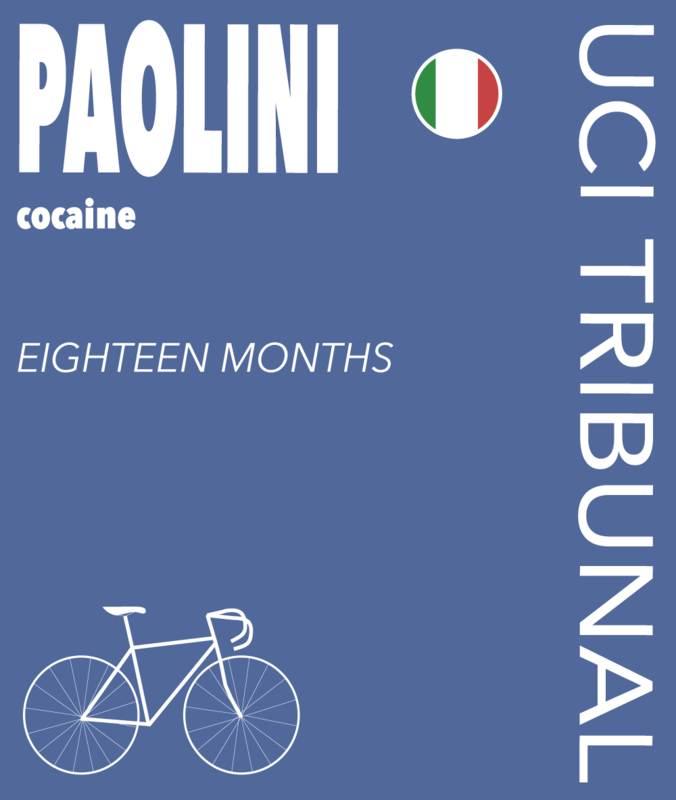 Johaug award at  referencing CAS 2005/A/830, Squizzato v. FINA, Award of 15 July 2005, para. 10.10. Johaug award at  quoting CAS 2011/A/2518, Kendrick v. ITF, Award of 10 November 2011, para. 10.14. Johaug award at  referencing CAS 2006/A/1133, WADA v. Stauber, Award of 18 December 2006, para. 36. Johaug award at  referencing CAS 2012/A/2959, WADA v. Nilforushan, Award of 30 April 2013, CAS 2006/A/1133, WADA v. Stauber, Award of 18 December 2006, and CAS 2005/A/951, Cañas v. ATP Tour, Award of 23 May 2006. Johaug award at  referencing CAS 2012/A/2959, WADA v. Nilforushan, Award of 30 April 2013; and CAS 2005/A/828, Koubek v. ITF, Award of 13 April 2005. Johaug award at  quoting CAS 2005/C/976, FIFA & WADA, Advisory Opinion of 21 April 2006, paras 138–139. Johaug award at  referencing CAS 2010/A/2268, I. v. FIA, Award of 15 September 2011, para. 133 and CAS 2007/A/1252, FINA v. Mellouli, Award of 11 September 2007, para. 97. Johaug award at  quoting the Comment to Article 10.4 of the 2009 WADC. 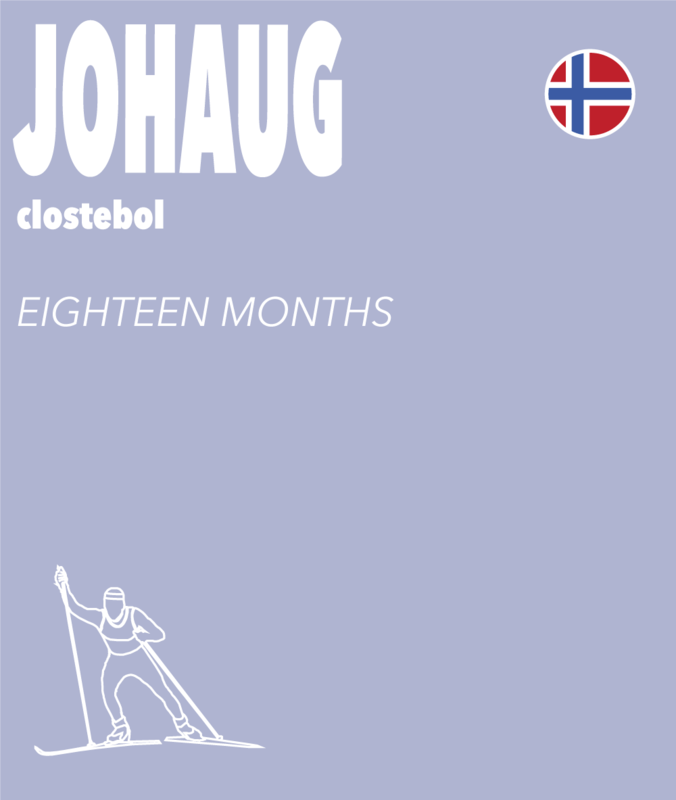 Johaug award at  quoting CAS 2014/A/3798, Decembrini v. Federation Internationale de Roller Sports, Award of 4 March 2015. Johaug award at  referencing CAS 2016/A/4643, Sharapova v. ITF, Award of 30 September 2016, para. 99. See extensively, Rigozzi A, Viret M, Wisnosky E, Switzerland Anti-Doping Reports: The Sharapova CAS award, I.S.L.R 2017, 1: 27-41. 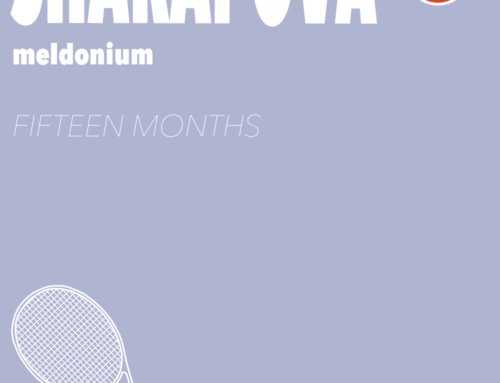 CAS 2016/A/4643, Sharapova v. ITF, Award of 30 September 2016, para. 85. Rigozzi A, Viret M, Wisnosky E, Switzerland Anti-Doping Reports: The Sharapova CAS award, I.S.L.R 2017, 1: 27-41. Kaufmann-Kohler G, Rigozzi A (2015) International Arbitration : Law and Practice in Switzerland, Oxford University Press, Sec. 6.17. 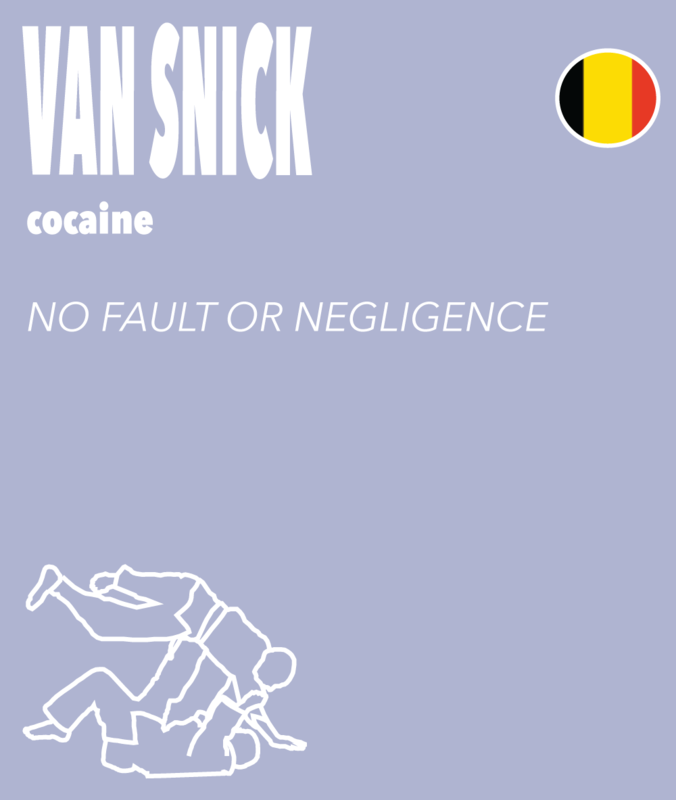 Definition of No Fault or Negligence in Appendix 1: “The Athlete or other Person’s establishing that he or she did not know or suspect, and could not reasonably have known or suspected even with the exercise of utmost caution that he or she had Used or been administered the Prohibited Substance or Prohibited Method”. In answering the question “What range of factors does the period of ineligibility depend upon?” it merely states: “The type of violation, the prohibited substance or method used, the nature of the athlete’s conduct and the athlete’s degree of fault”. But how would Athlete’s know what this means, concretely? See, in particular Article 2 of the WADC, which provides that Athletes “shall be responsible for knowing what constitutes an anti-doping rule violation and the substances and methods which have been included on the Prohibited List”, and Article 21.1.1 of the WADC, which provides that they must be “knowledgeable of and comply with all applicable anti-doping policies and rules adopted pursuant to the Code”. The WADC sets forth an obligation on Signatories in Article 20 to “promote anti-doping education”, which in Article 18 it emphasizes includes preventing both “intentional or unintentional” violations. See Kaufmann-Kohler G, Malinverni G, Rigozzi A, Legal Opinion on the Conformity of Certain Provisions of the Draft World Anti-Doping Code, 26 February 2003, paras 175-184, and in particular para. 184. However, it must be noted this legal opinion was drafted before the CAS developed the above mentioned very strict interpretation of the concept of non-significant fault. CAS 2004/A/690, Hipperdinger v. ATP, Award of 24 March 2005, para. 86. See Viret M, Wisnosky E, Comment on CAS 2015/A/4059, WADA v. Thomas Bellchambers et al., Award of 11 January 2016 in Duval A, Rigozzi A (eds.) (2017) Yearbook of International Sports Arbitration 2016 (The Hague, TMC Asser Press), publication upcoming. Following the approach recommended in the Cilic award, the Johaug divided the available range of sanctions (12 to 24 months) into three equal bands of “fault”, corresponding to “light”, “normal” and “considerable/significant”. CAS 2013/A/3327, Cilic v. ITF, Award of 11 April 2014, para. 11. CAS 2013/A/3327, Cilic v. ITF, Award of 11 April 2014, para. 95. Swiss Federal Supreme Court, Matuzalem v. FIFA, Decision of 27 March 2012, 4A 558_2011. For a more in depth discussion of this point, see Rigozzi A, Wisnosky E, Quinn B (2017) Weblaw, The proceedings of the 2017 Macolin Anti-Doping Summit, p. 144.